Are you looking for PC or Apple Mac repair? We carry out a hundreds of repairs every month. We are experts in data recovery and virus removal. We’ll charge you far less than 99% of our rivals. Our aim is to offer outstanding services straight to your home or office. If we don’t know how to fix it, we won’t charge a penny. With over 19 years experience fixing Apple Mac computers, we’ve fixed thousands of desktop , laptop and tablet Macs. 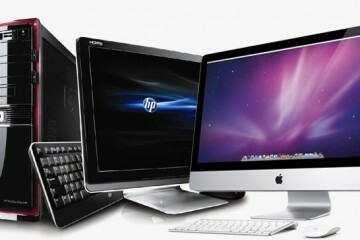 So whether you’re home or office based, a Macbook, imac or ipad or iphone user, we can help you. With over 19 years experience of fixing hardware and software problems on the Windows operating system, you can see we’ve dealt with every version of Windows, from Windows 95 right through to Windows10. Apart from the fact you might accidentally damage your laptop screen, you might also find ,through no fault of your own, the screen goes dark, and you can barely see anything. Depending on the level of service required we can set up a maintenance contract, or charge you an hourly rate whenever you require us.We can normally attend your office within 5 business hours. We aim to fix your computer, laptop, iPhone or other equipment at the best possible price, with the best possible service in the best possible time. We only use new, high quality parts to repair your devices and offer a warranty twice the length of any of our local competitors as well as national ones such as PC World. We support both home and small business users with anything from Virus infections, broken screens, network problems to data recovery and many things in between. Do you charge a callout fee? We do, but this covers an hour of labour. So as long as the job doesn’t take longer than one hour (which applies to 80% of our jobs) then you don’t pay a penny more for labour. After the first hour we charge in half hour increments (except between 7pm and 7am). If we finish a job in 5-10 minutes, we’ll give you more value by offering a computer “MOT” to make sure your computer is working as well as possible. Do you charge extra for parts? Yes we do.But we only charge at cost price, so we don’t make any profit on parts supplied. Parts means any software or hardware supplied. Do you have a no fix, no fee policy? We do, but please note that the only occasion we don’t charge for our callout is if we don’t have the knowledge to fix the problem. This happens about 1 in every 1,000 jobs! If we CAN fix the problem and offer you a solution which you turn down (say, because the repair is too expensive), then we will charge the call out fee. Do you supply new or used computers? Yes we do. We sell new and used laptop and desktop computers, both PC and Mac. All computers sold will carry a hardware warranty, on a fair wear and tear basis. Yes we do, in appropriate cases. By this we mean that, say, your hard drive is faulty and needs replacing,this is something which obviously we'd need to attend in order to replace. But if we can fix your problem without needing to come out, we will do. Are you able to recover my data? In 90% of cases we can recover your data from a broken hard drive. Plus we'll do it quickly and much cheaper than most of our competitors. 80% of our repairs are done in the first hour. Some repairs can take 5 minutes! We'll fix the problem at your premises.No need for us to take it away. Fantastic customer service. Very kindly fit me in very late in the day and repaired laptop while I waited, and all done so a fraction of the price I was expecting which was an added bonus. Overall I would highly recommend and be returning in future if needed. I’ve been using this excellent company to fix my Mac computers in my office for 7 years now. They always do a great job, and don’t waste any time! They’ve done many jobs in less than 10 minutes, which is good going by any standards. Paul Mitchell ,Siren UK Ltd.
We provide a callout service at your home or office to fix any software or hardware problem with your Apple Mac or PC.